"High Quality - Low Price"
We will provide high quality, dependable, timely, AFFORDABLE car repair...PERIOD! ARC will install the right battery for your car or truck, plus starters, alternators and related repairs at the right price. ARC will save you money on new brake pads, shoes, and system repairs. ARC will make sure your heater and air conditioner keep your driving comfortable year round. 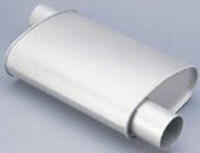 ARC has a muffler for every make and model at big savings to you. Shocks! Struts! Tie Rods! Springs! ARC will make sure your suspension system is safe and secure. From the highest quality natural oils to the latest high-tech synthetics, ARC has the right lubricants for your car or truck. ARC will make sure old spark plugs, frayed wires, and dirty filters DON'T steal power from your car or money from your wallet. Keeping your fuel lines, and injectors clean and replacing fuel filters saves is what ARC can do to save you money down the road. ARC can install many after-market accessories including running boards, brush guards, mud flaps, trailer hitches, and many more items to numerous to mention. Visit the JC Whitney site to see what’s available.